In this disposable culture, it is easy to throw away something as soon as it seems like it doesn’t work as well. When your Norelco trimmer or shaver starts feeling like it is dull, there is no reason to throw it away. Instead, you should look into getting replacement Norelco shaver heads. The same goes for your OneBlade or Bodygroom series Norelco trimmers. You can go online and get Norelco replacement heads like these ones from Amazon.com. Nothing is built to last forever, but there is always a way to give some new life to old products. Rather than fill a landfill with our used grooming tools, try to extend their life. Not to mention, you’ll save quite a bit of money. Let’s dive right into the article so you can find the right Norelco replacement heads! How long do Philips Norelco blades last? There is no one answer to this question as there are a lot of different kinds of Norelco shaver heads and trimmer blades. I’ll go through a few different kinds and hopefully you find your in the list so you know roughly how long it will last. 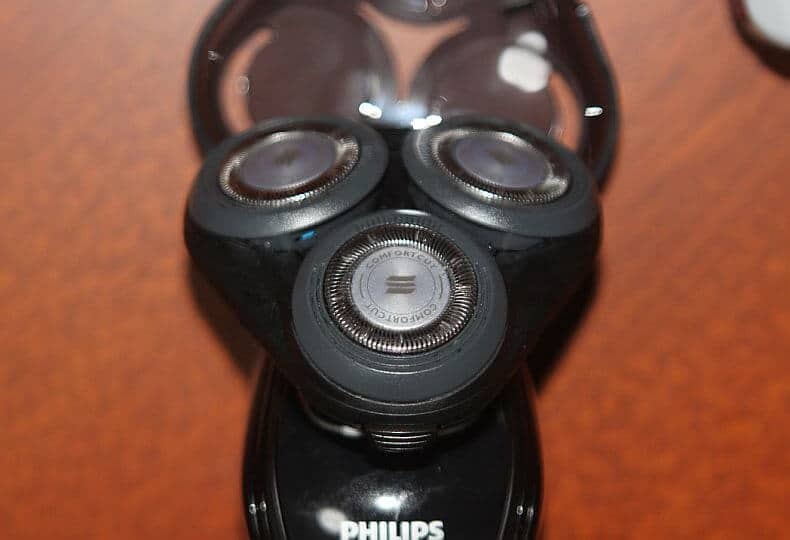 Depending on how often you use your Philips Norelco OneBlade, and how thick your hair is, you should get roughly 4 months off of each shaver head. For instance, the article I just linked to was for the OneBlade Pro which states that two full shaves per week will give you around four months. But if we’re talking about the OneBlade Face and Body, it says the same thing. Now, if you are doing your entire body twice per week, then I doubt you will get more than three months. Unless your hair is very fine. Same goes for the Pro. If your facial hair is fine and you do two shaves per week, you’ll probably get more than the four months specified. This Norelco replacement head is for any of the Bodygroom Series. Anything in the BG2000 BG2020, 2030, and 2040. These are specified as needing replacement once a year. One thing that seems to happen with these two models specifically is that the foil can bend or even break if you are not careful. While grooming certain parts of the body, the tendency is to push harder to get a closer shave. What generally happens is that the foil gets damaged. If that happens, then don’t wait the year to replace them. As soon as you have damaged the foil they should be replaced to avoid any injury as those blades are quite sharp underneath. If you don’t damage them, then, yes, after a year it is probably best to replace to make sure you are getting a comfortable shaving experience. Any of the Norelco shaver series 1200 with the 3D motion of the head will work with these Norelco shaver heads. They are made to last around a year. The cover over the blades is quite sturdy and will likely last quite a while, but the blades can end up dull. In which case, you should replace the whole head to keep the shave smooth and close as possible. For the Norelco shavers with flex heads, the Shaver Series 1000 Norelco replacement heads last a year as well. I’ll go ahead and say that the rest of the Norelco shaver heads should all be replaced in about a year. You may get a little less or even a little more than that. But, set your reminder for a year from the date you first used it. 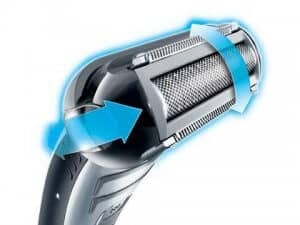 To make sure you aren’t replacing your Norelco shaver heads before their time is up, there are a number of things you can be doing to lengthen their lifespan. You’ll save yourself some money by keeping the quality of the shaves going for longer. And, it’s one less thing you have to think about a year or so after you start using your razor. The best Norelco shavers blades are only meant to last a year before they need to be replaced, but keeping them in good working order should get you a few more months easily. Hair is very acidic and will eventually cause the blades to become dull and other parts to corrode. By rinsing off the blade, or wiping the hair off with a brush, you are keeping your blade sharp. If you’re able to open up the Norelco shaver heads then you can really get in there and make sure it is hair free. Also, if you use shaving cream, then you’ll need to be extra careful to not leave any inside the head or on the blade. Once you’ve rinsed it off, make sure you let it completely dry. Once you’ve rinsed it off or brushed the hair from the blade, you should keep it dry. Make sure the area where you store it is not damp. If it comes with a storing base then always use that if you have the space for it. This will keep it away from any potential puddles. Many models feature self sharpening blades that technically do not need to be oiled. I have found that doing this once in a while will keep the razor working much better for longer. Once a month or so, or more if you don’t have self sharpening blades, put a few drops of either mineral oil or some clipper oil that you would use on hair clippers. Not only does the oil keep the blades moving freely, but they have anti corrosive properties. Your blades may be self sharpening, but the parts could be corroding and will eventually no longer sharpen themselves. Using an oil occasionally will prevent that from happening. 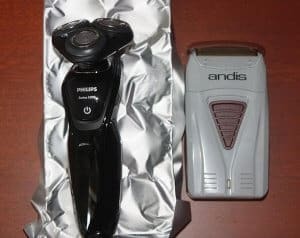 It isn’t just shavers that can benefit from replacing the heads. Even a Norelco trimmer can get some extra life when you swap out the underperforming head. Though there is nothing specific about how often you need to replace a nose hair trimmer, the same principle applies as if it were a shaver. Under the metal protective dome there is a blade that spins that will eventually get dull. Nose hair is exceptionally wiry and does a number on your Norelco trimmer blade. If you use it regularly then I would recommend replacing it around every 18 months. If it starts pulling the hair before that then you should definitely replace it at the point. Again, there is no official word on how long this Norelco trimmer is supposed to last and when it should be replaced. A good rule of thumb for trimmers is about two years. Unless your trimmer is still performing as you would expect without any issues, then you won’t need to buy a new one. After about two years you may find that the blades are starting to pull, or that you have to go over the same spot multiple times to shave as close as it used to. Though this doesn’t qualify as Norelco replacement heads, it is something you will likely be needing at some point if you have any of the Norelco BodyGroom series trimmers like the Norelco BodyGroom 7100. It is the weak link of an otherwise exceptional body groomer. The plastic is not as sturdy as it should be so the teeth have a tendency to crack and break. Especially if you use too much pressure when trimming. I would recommend buying this at the same time as buying the actual Norelco trimmer so that you have it when it inevitably breaks on you. Can You Sharpen Electric Razor Blades? The short answer is, yes. The longer, more accurate answer is that maybe you shouldn’t. There are ways that you can sharpen the blades. In fact, a common DIY way to sharpen is no more involved than taking your blades out of the holder and rubbing the blade around on a mirror that has some toothpaste on it. You could even use a whitestone to really get them sharp and if you already have one for your knives and straight razors. The reason I don’t really recommend it is that the sharper blades will end up with a slightly different dimension. This can eventually wear down the foil or the disk cover that sits over the blade. You may find your skin getting extra irritated when you use an electric razor with blades that have been sharpened yourself. The other thing to consider is that you may actually make the blades more dull when you try to sharpen them. If you don’t do it correctly, then you may actually damage them. I recommend giving them a good clean by opening up the head, removing the blades and wiping everything down with a brush. Then put it back together and see if it works better. You may find that the blades aren’t actually dull ad instead just had a bit of gunk that needed to be removed. Press the button beneath the head to allow it to open. Once it is flipped open, pull straight up to detach it from the body. Rotate the center locking mechanism counter-clockwise to release the blades from the head. Lift the locking mechanism straight up. The blades are now exposed. Push the blades out of the holder. Replace each of the blades with new ones, with the tab facing out. Replace the locking mechanism and turn it to fasten the blades in place. Push the head back into the body. That’s all there is to it. Before shaving your face, I would try it out on your arm or someplace that isn’t sensitive. If the blades are not aligned correctly you may get nicked or at least feel some discomfort. It is also a good idea to really give the inside a deep clean since you already have it open. Make sure there is no build up of any kind of grime from your shaving cream, or dead skin. Any hair should be rinsed or brushed off of any surface. Nothing lasts forever, so even when you are replacing the Norelco shaver heads or trimmer replacement parts, eventually the razor will give up the ghost. Unfortunately things are not made to last like they were back in the day. I digress a little, but my mother was still using a hand mixer that she got for her wedding gift in 1970 up until just a few years ago. There is no way that would happen now! Your grooming tools are being used more often than that hand mixer, too. And really put through the paces of being dropped, gunked up, wet then dry and all kinds of other factors that lead to its demise even when it is well engineered. Replace the parts to get some more life out of it and you save money and feel like you are doing a part in preventing our landfills from overflowing, no matter how small an act it is. 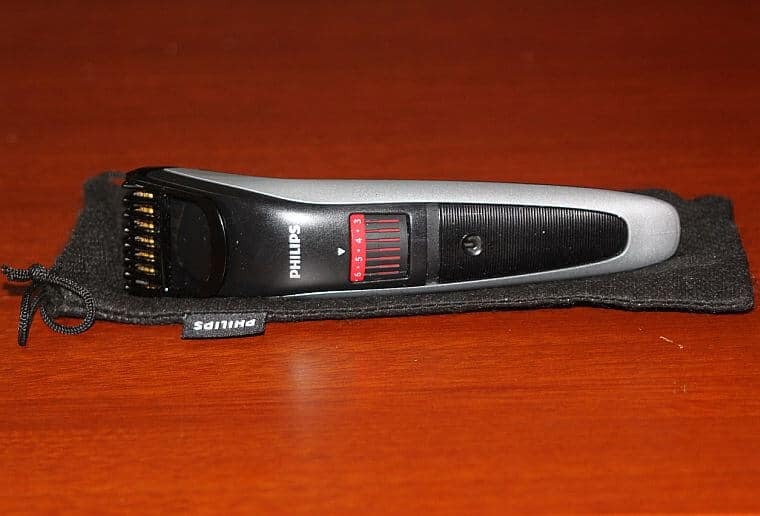 Do you have any experience swapping out parts of an electric shaver or trimmer? Let us know if you have or if you need some questions answered. We are always here to help!